I told you I would be sharing pictures from the zoo over the course of the week. I think this is a great illustration of friendship. I also think that nothing says “summer” like a couple of turtles at the zoo? Actually, I thought it’d be boring if I posted yet another flower or bug shot…and I’ve already posted a ton of summer rain shots…oh, I even posted the summer lovin’ shot. I’m getting a tad bit sleepy, so I’m posting a 2 for 1 special. So yeah, we saw some incredible animals on Saturday. It was hot, it was humid…and most of the animals just wanted to find some shade. I was surprised at how active the turtles were. 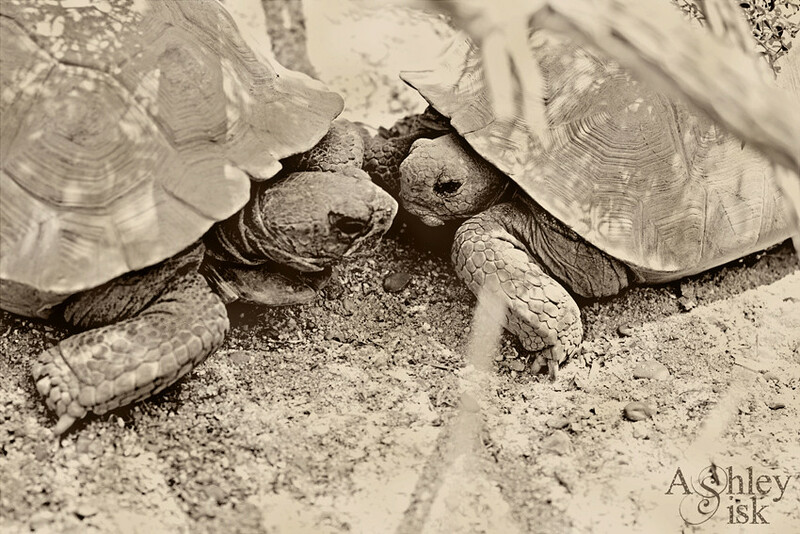 Furthermore, I was surprised at how social the turtles were…or maybe they were pissed off and fussing at one another – let’s be honest, it was hot, couples fight when they get hot. Either way, summer is here…the heat is on, and with the summer heat…anything could happen.